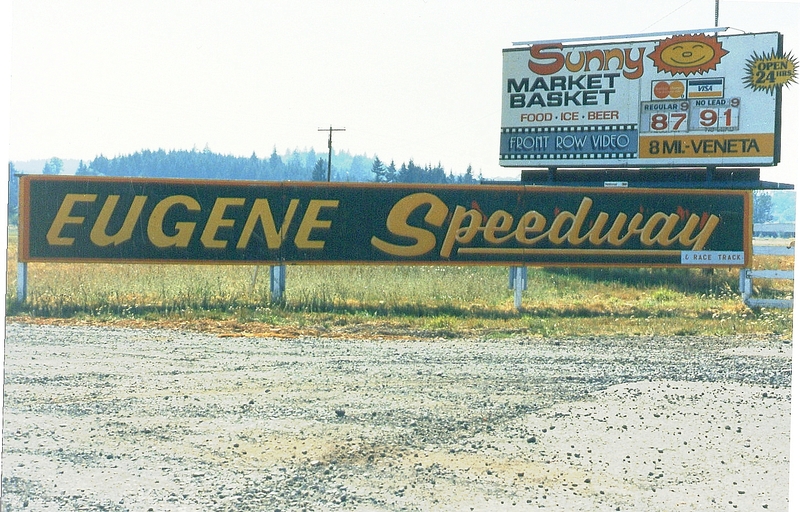 The entry to Eugene Speedway—check out those ’80s gas prices in the background! 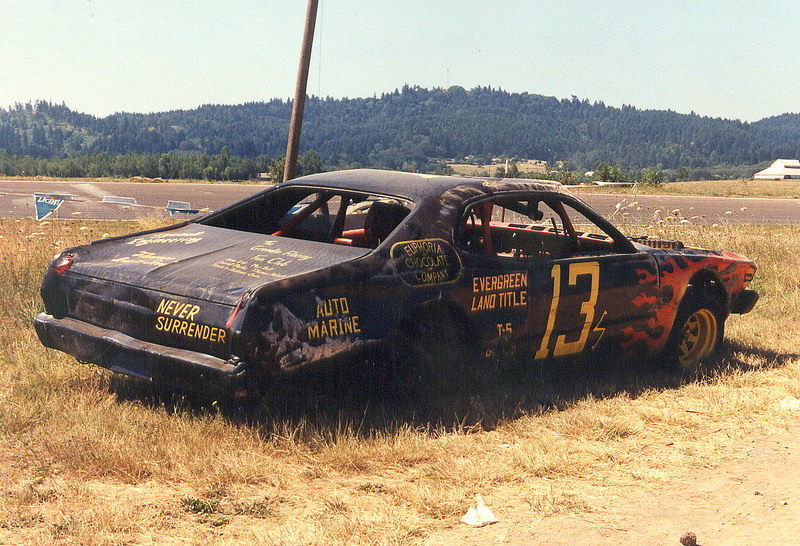 In the summer of 1986 I went to Eugene Speedway, attended my first stock car race, and fell in love with the sport. I swore to myself that the next season I’d be out there on the track. And I was. A few weeks later I won a trophy dash. 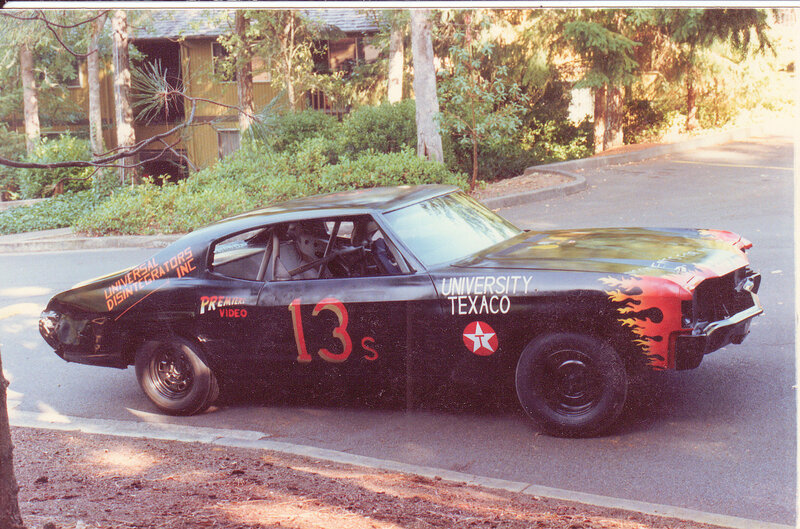 For the next four years I competed in the Street Stock class, first in the Chevelle, then in a ’72 Plymouth Duster. I was one of those crazy individuals who would take the last five dollars of my grocery money and spend it on gas for my car. Though I was never a front-runner, I was a mid-pack contender, winning a few trophy dashes and heats and even one main event. I was totally enraptured by the act of racing—the sensation of slinging that car through the corners—but it was the people who made the experience for me. The folks who raced at the speedway were totally family-oriented, and they tucked me under their wing, making me feel like I was part of their tribe. Whatever you might think about blue-collar redneck types, these people have a fierce loyalty and sense of common decency that makes you fall in love with them. In August of 1990 I rolled the Duster. It was one of the more interesting experiences of my life, and my biggest regret was that I closed my eyes when I started to go over, so I missed the whole thing! 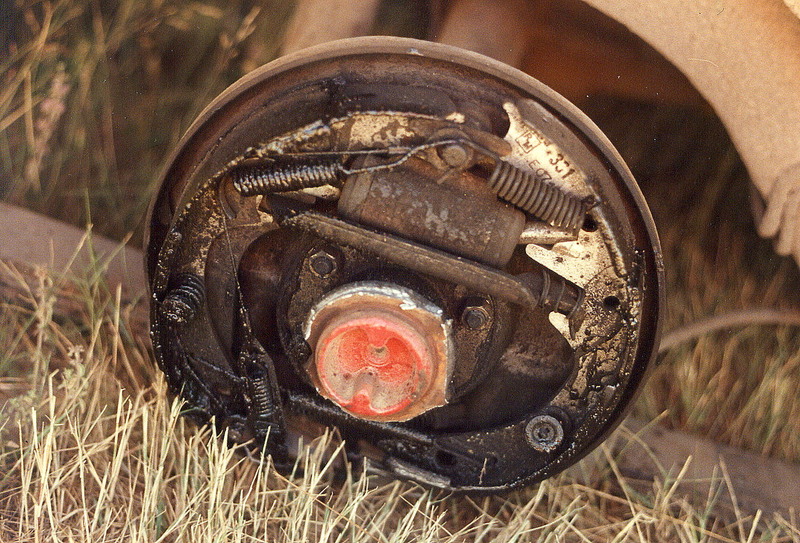 The rollover was caused by a broken axle flange, which resulted in the right rear wheel coming off the car as I was going into turn 2. This is a problem with the smaller MOPAR axles. 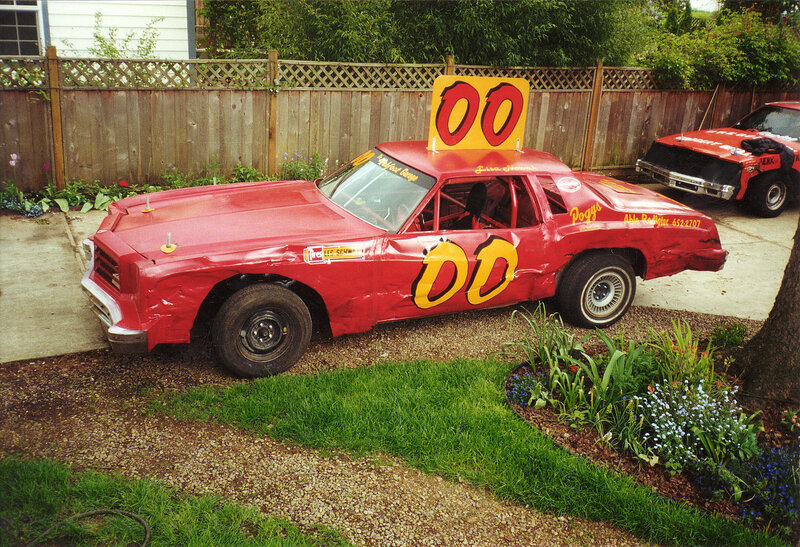 In 1990 I got fed up with the lack of respect for stock car racing in the Pacific Northwest. Wanting to experience life someplace where the sport was better appreciated, I packed my belongings into my ’72 Ford Econoline and moved to Hickory, NC. The trip was an adventure, because I set out with only $800, and I didn’t know anyone in North Carolina or have any idea what I’d do for work when I got there. To complicate matters, someone had stolen my trailer that season, so I had to flat tow the Duster the entire distance. I spent nearly five years in North Carolina, racing at Hickory Motor Speedway and Tri-county Speedway and soaking in the local culture. 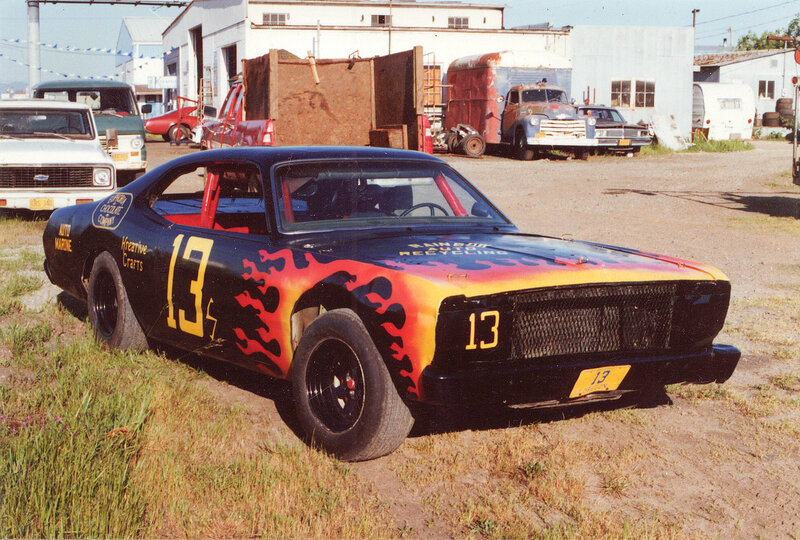 The first season I competed in the Duster, then I built another car, a ’74 Dodge Dart. It was through my experience with the Dart that I began to learn to weld. 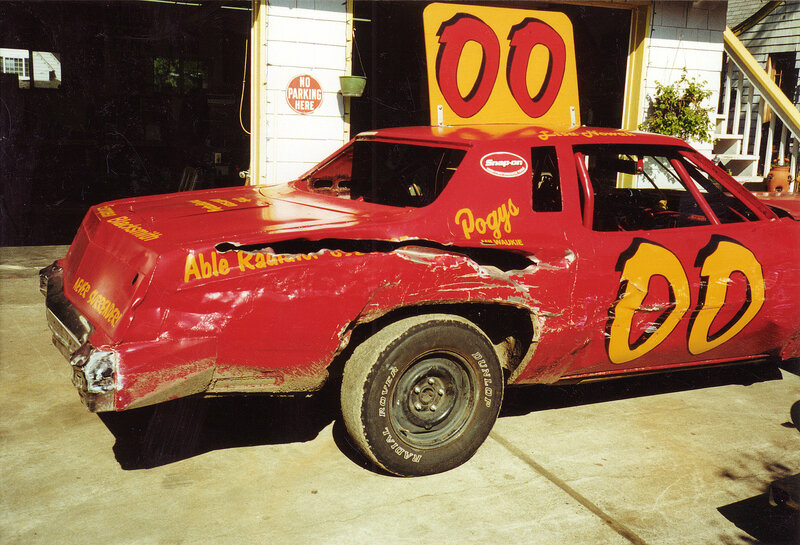 The Dart only made it through half a season before a serious wreck tweaked the body beyond repair (Darts don’t have a frame, and it had been T-boned). With no money to build another car, I decided it was time to go back to school and upgrade my job skills. I enrolled in Catawba Valley Community College and pursued as AAS in Mechanical Engineering Technology. During this time, I completed the first drafts of Running Wide Open and Driven. Homesickness eventually got the better of me, and in 1995 I returned to Oregon, settling in Milwaukie. My friend Bob and I formed the Webfoot Racing Team (“webfoot” is a nickname for an Oregonian, but more specifically for University of Oregon alumni). In order to finish building my Limited Sportsman, a Firebird, I had to perfect my welding skills. It was at this point that I began to come into my own as a car builder, teaching myself about chassis structure and the components of the suspension instead of just winging it as I had at Eugene. 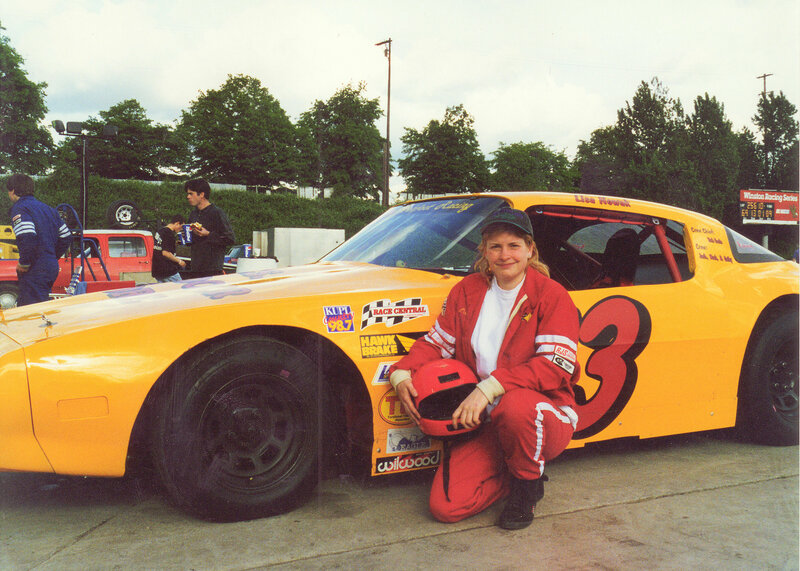 We competed at Portland Speedway for four years, then the future of the track began to face some uncertainty when the promoter decided to rip up the asphalt and go to dirt halfway through the ’00 season. The Firebird was on its last legs (tires?) and I didn’t want to invest a lot of money with things so up in the air, so I decided to build a Bomber. Bombers are those cars that go by the slogan “paint to pass, spin to win”. Not quite a demolition derby, but not real racing, either. 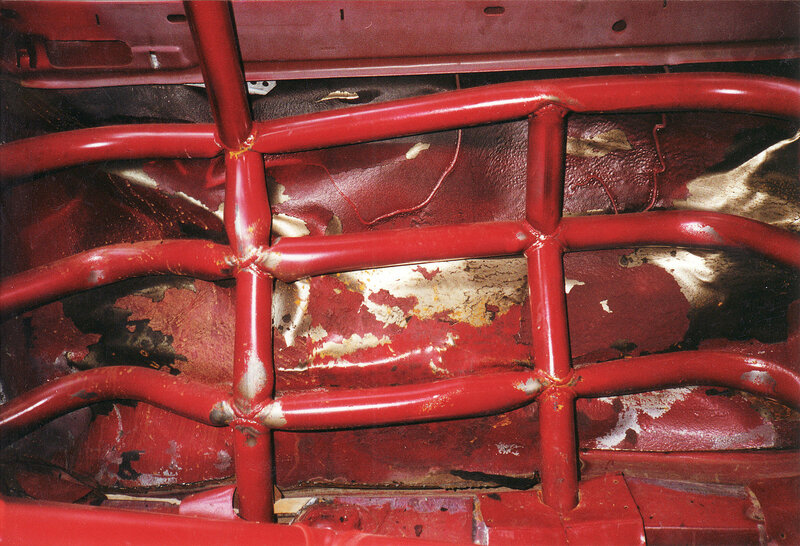 The Bomber had a few scrapes of its own, one of which bent the front clip at the frame buckets. 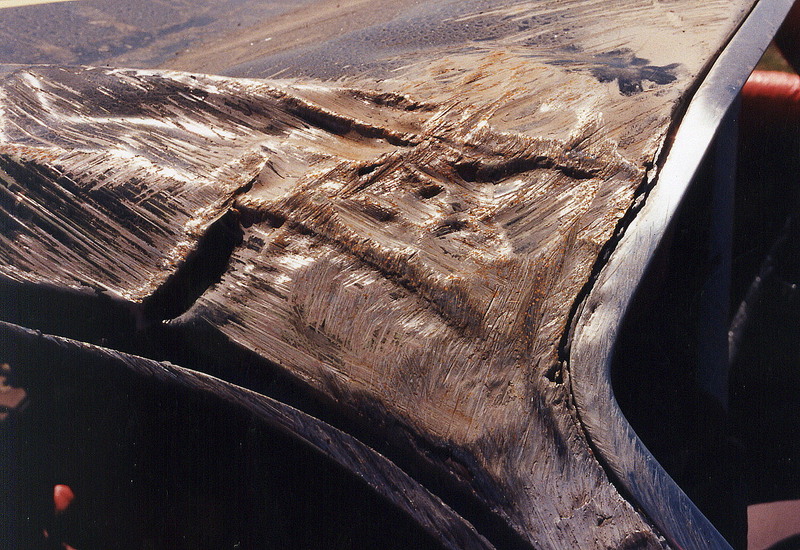 The one thing you don’t want with this sort of impact is for your welds to break—mine didn’t. The only fix was to cut the frame off at the firewall and weld a new section on from a donor car. It took a lot of painstaking work, but the Bomber handled just as well after the wreck as it had before, an indication that the transplant was successful. I had a great time building the car but quickly lost interest in driving it. After 12 years of repairing damages, I couldn’t stomach the idea of crashing on purpose. At the time Bob and I were running a business, the Webfoot Garage, which serviced and restored old cars. 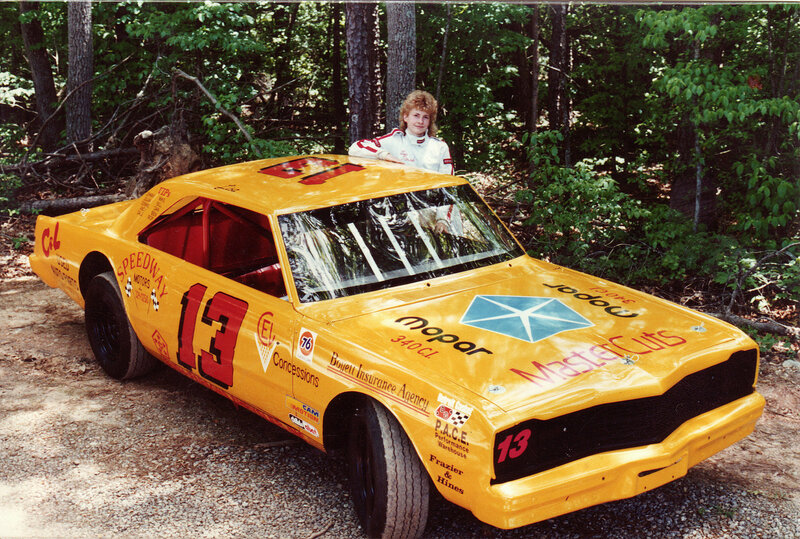 “Jimmy”, one of our employees, had a family background in racing. One night I informed Jimmy I’d had enough and I wanted him to drive my car. He balked, but I told him that if he didn’t get behind the wheel, I’d park the damned thing on the trailer and no one would race it. Relenting, he went out on the track and put my driving skills to shame. On one hand, it was humiliating to have him demonstrate such superiority as a driver. On the other, it was flattering to see him make the car perform so perfectly. I stood outside the fence watching him make music with a car I’d put together, and those two emotions warred inside me. Pride won out, and by the end of the race I was grinning like a kid at Disneyland. Any woman can climb into a car and do a decent job on the track, but how many of us have actually built one? It was at that point that I realized I could get more respect as a car builder than as a driver. I told Jimmy that I was willing to build him an IMCA modified and be his crew chief. He expressed initial interest, but he had some problems in his life to work out, so nothing ever came of it. It’s a crying shame, because Jimmy had that Dale Earnhardt sort of talent, and the two of us could have really made a name for ourselves. That experience was the last straw for me. 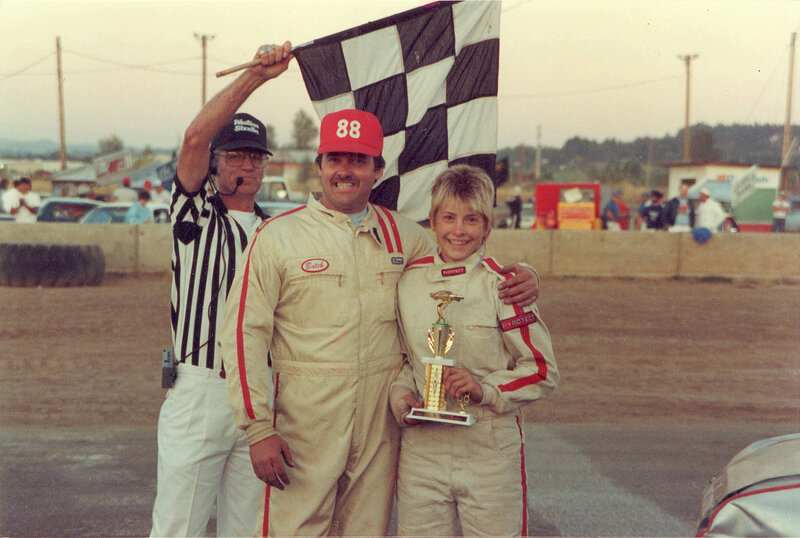 Already disillusioned with the politics of racing at Portland Speedway, I didn’t have it in me to keep fighting. After another season the speedway shut down, anyway. A lot of drivers were left disappointed and were forced to take their cars to smaller dirt tracks in the region. I went back to school, got my degree in horticulture, then started writing again. 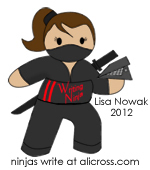 While I’d never made it as a front-runner on the track, I found my niche writing about the sport. Running Wide Open and its companion books are my tribute to Eugene Speedway, her drivers, and their fans and family members. Magic happened at that track, and though the speedway’s now defunct, it deserves to be remembered with respect. What a history! I’ve been a great fan of your writing for at least a couple of years and now I realize what I missed by not seeing you race! Awesome! Wow, I had never seen those pictures! They are great. I remember first meeting you back then. However, for a “young ‘un” you are pretty impressive…..even I have to admit that. Cool to see the pictures of the cars. I love the flames on the Duster. I’ve always wanted flames on my Vanagon. It looks too much like a refrigerater just plain white. Drives like one, too. I’d love to go to a stock car race. Your books have made me a fan (not to mention Cars) but I’ve never seen one, except on TV. Can’t wait till you start Getting Sideways at Chrysalis. I came across this blog while searching for “amateur stock car racing”. I’m glad I came across it. Very entertaining! I enjoyed reading about your racing career. Have you considered trying out the newer low-budget road racing series such as “24 Hours of Lemons” and “Chumpcar”? It’s endurance racing on a budget and can be a lot of fun. You can build a car or rent a seat on someone else’s team. I currently race a Spec Miata but I seem to be gravitating towards Mustangs.